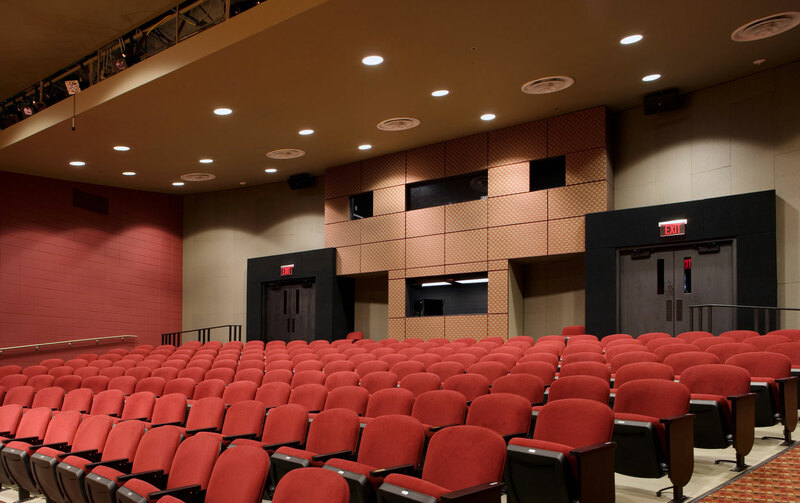 Renovation of the 182-seat audience area provided new seating, finishes and acoustical treatment. 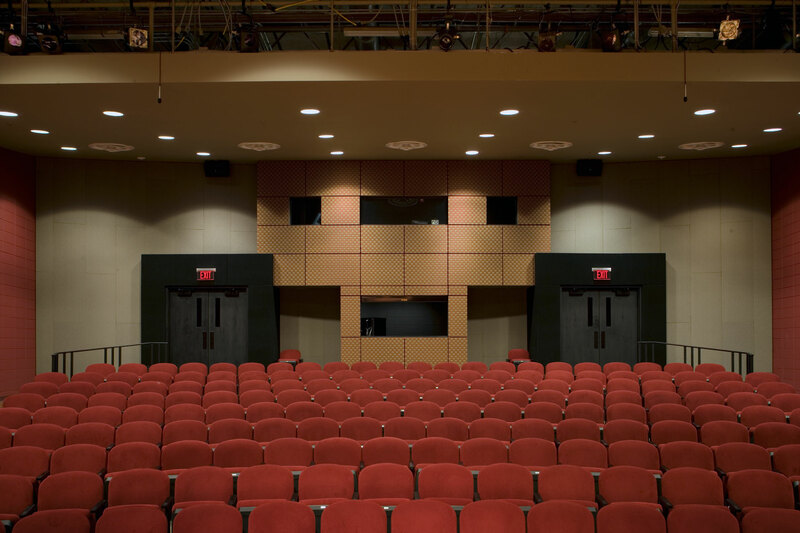 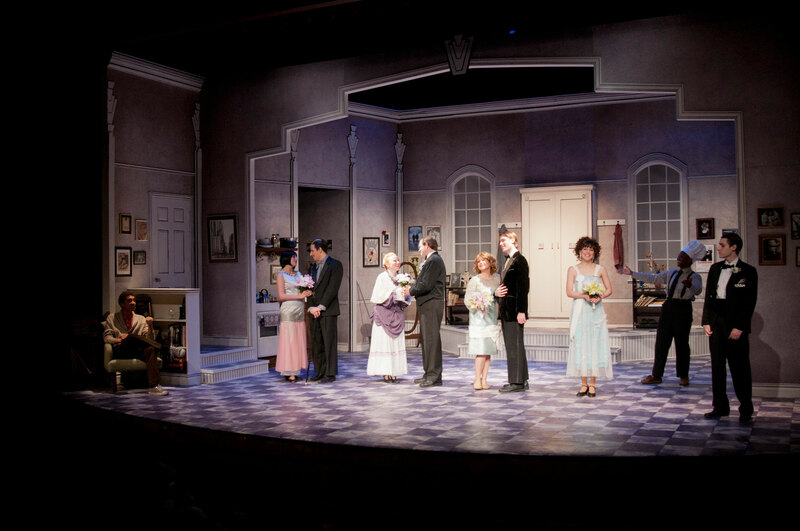 The stage was completely refurbished and enhanced by new sound and light systems. 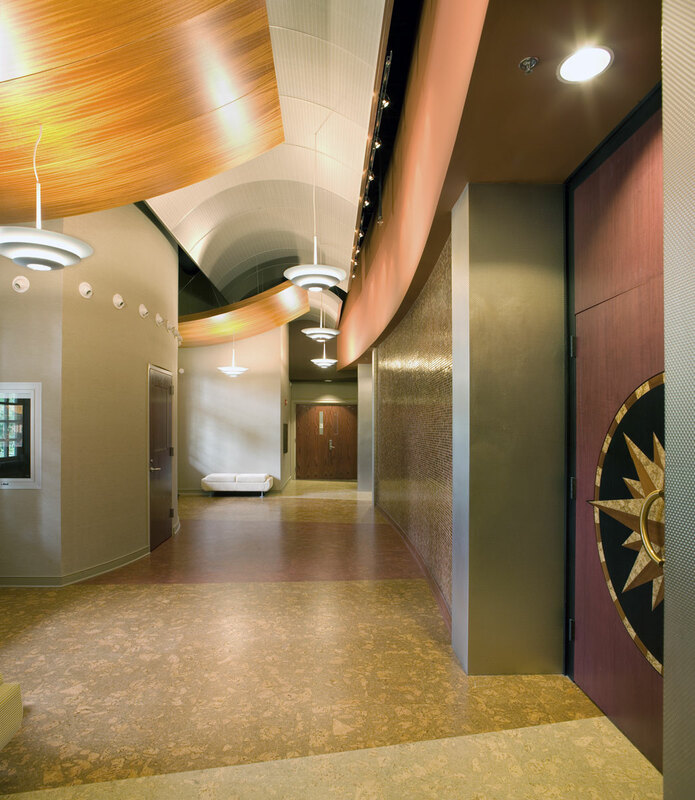 The adjacent lobby has been opened up to create a more spacious feeling and finished with floating ceilings of wood and metal as well as a curved accent wall of glass mosaics. 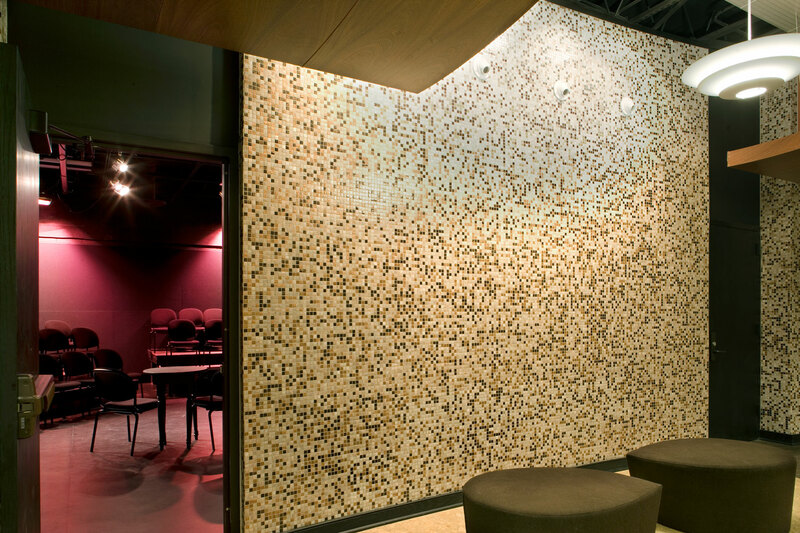 Included in the facility are a Black Box Theatre, film studio, and staff offices. 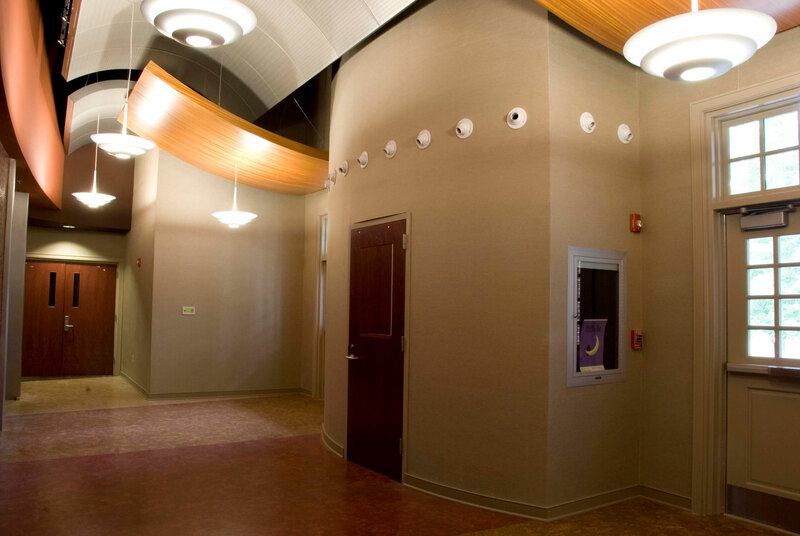 A 2,300 square foot addition at the rear of the building provides space for a large scene shop, prop and wardrobe storage, and loading dock.